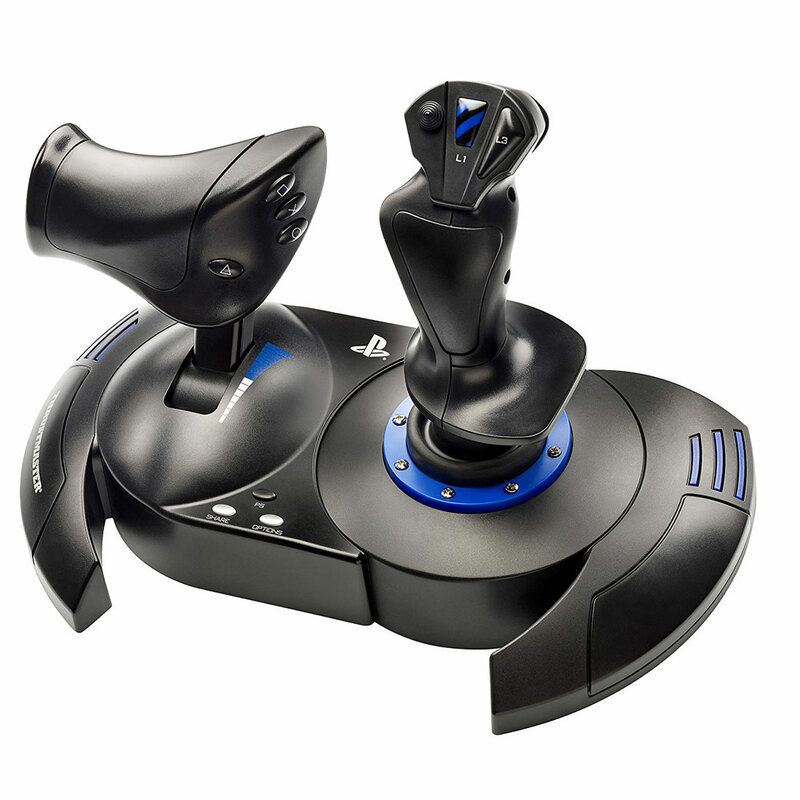 In real life, pilots use a stick and throttle as flight controls, as these are the most effective in terms of performance and precision. 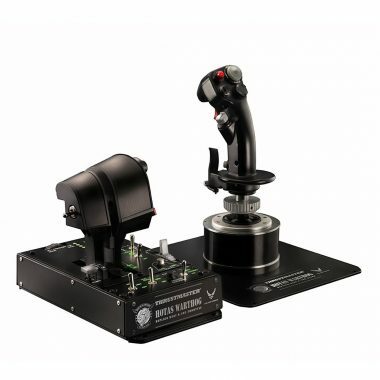 T. Flight Hotas 4 provides this same level of realism. 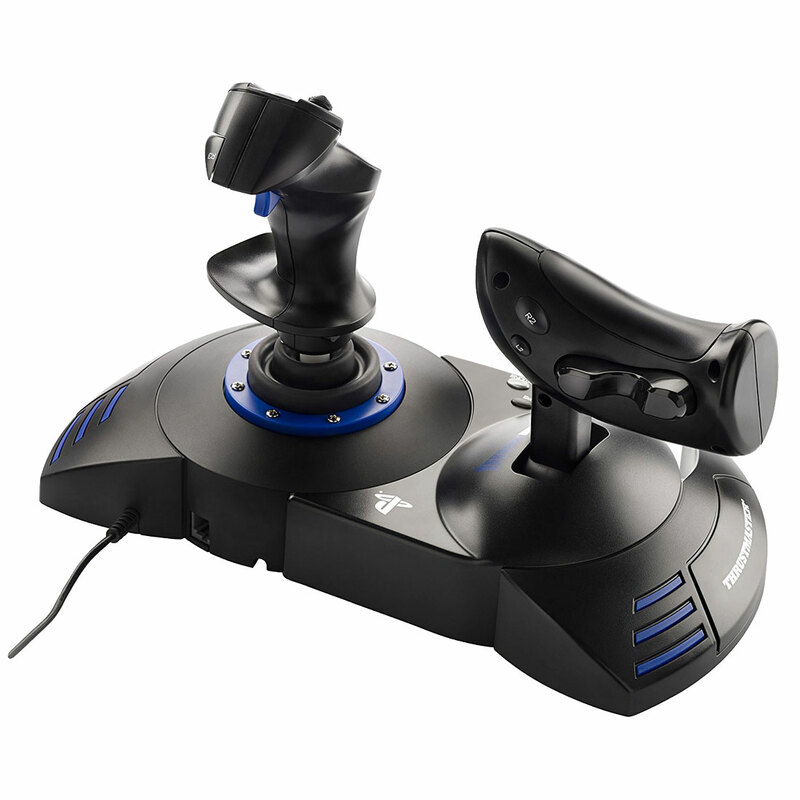  The joystick’s unique, ergonomic design adapts to all types of flight (aerial combat, space adventure, civil flight, etc.). 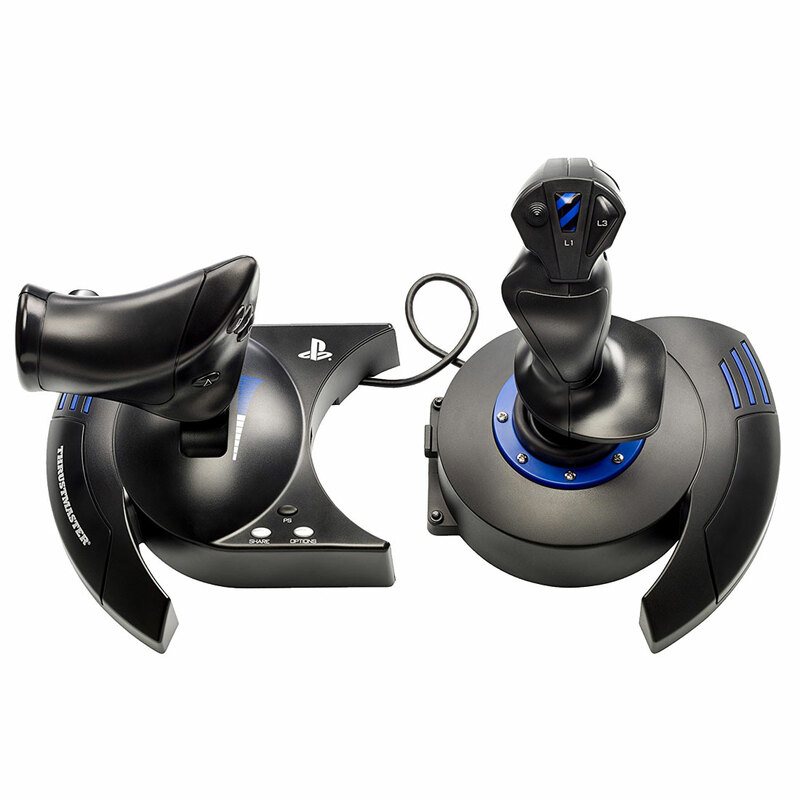 The large hand rest helps players keep their hand in a very stable and relaxed position, to respond to the subtlest motions. 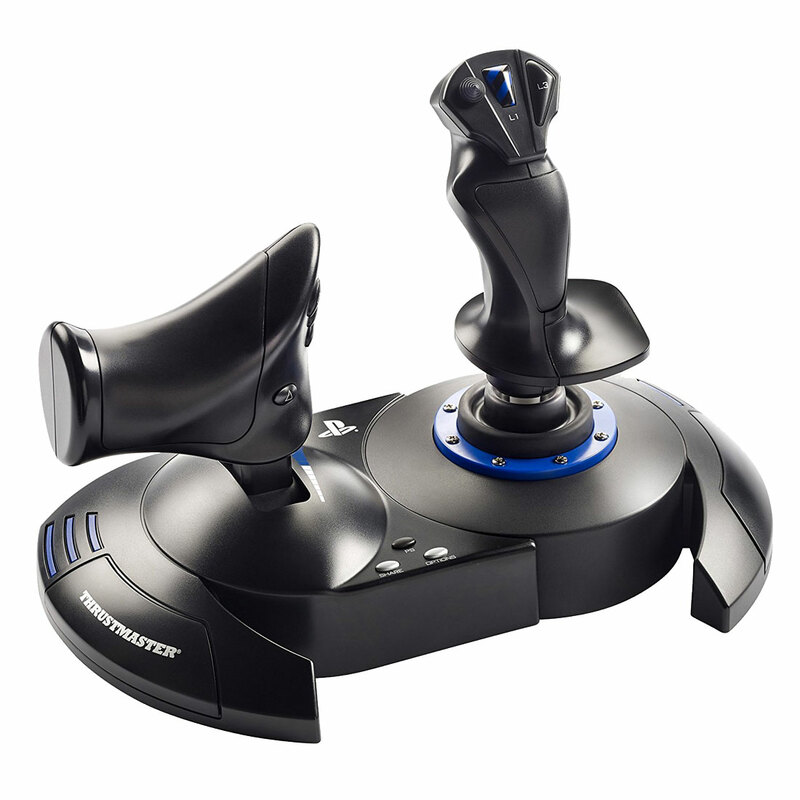 Adjust the stick’s resistance to suit your needs and preferences. 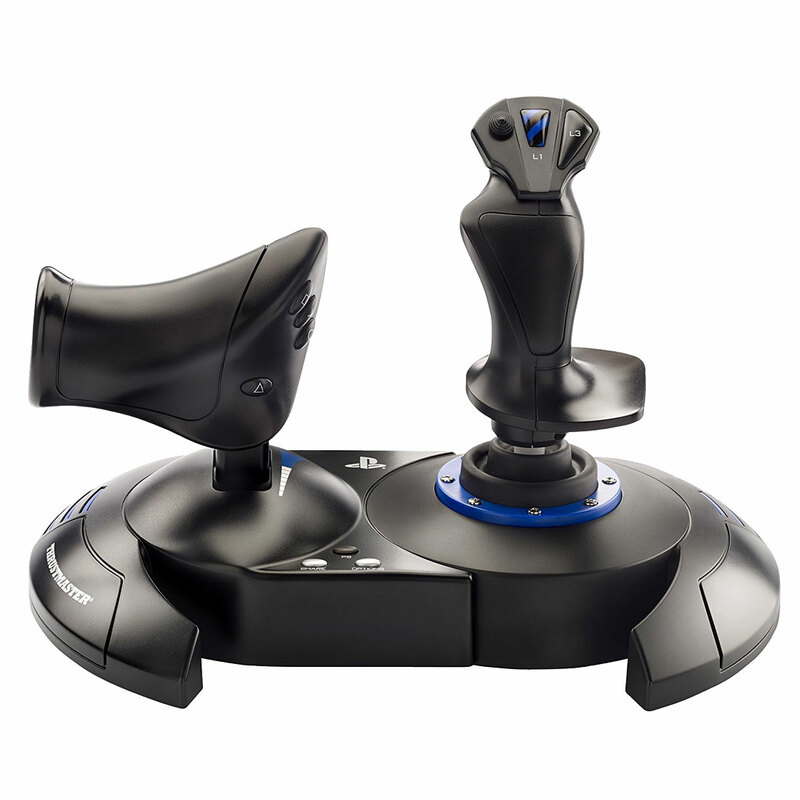 The base is weighted, to offer enhanced stability during gaming sessions. 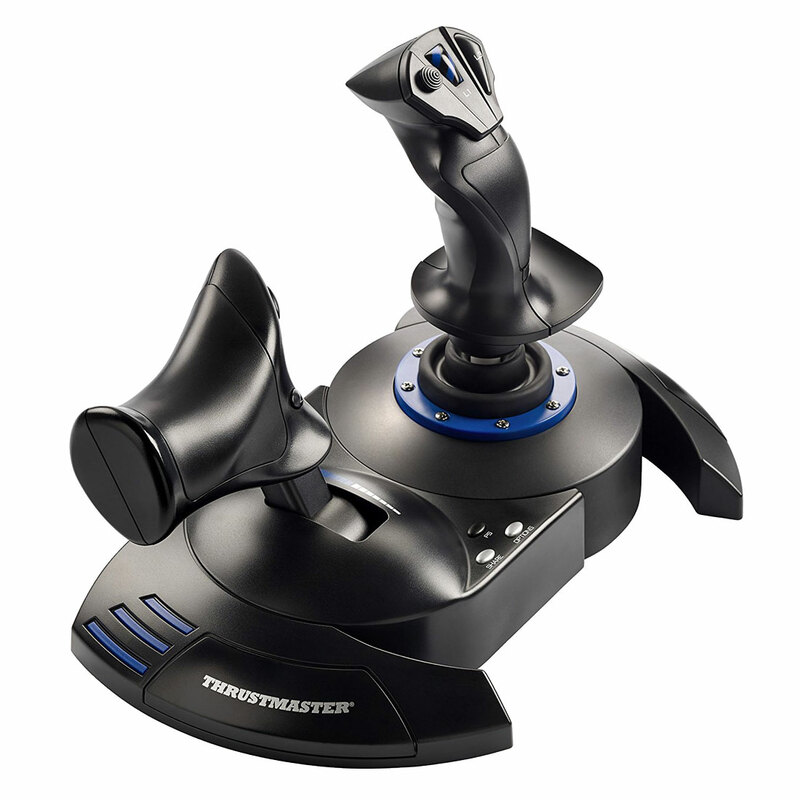 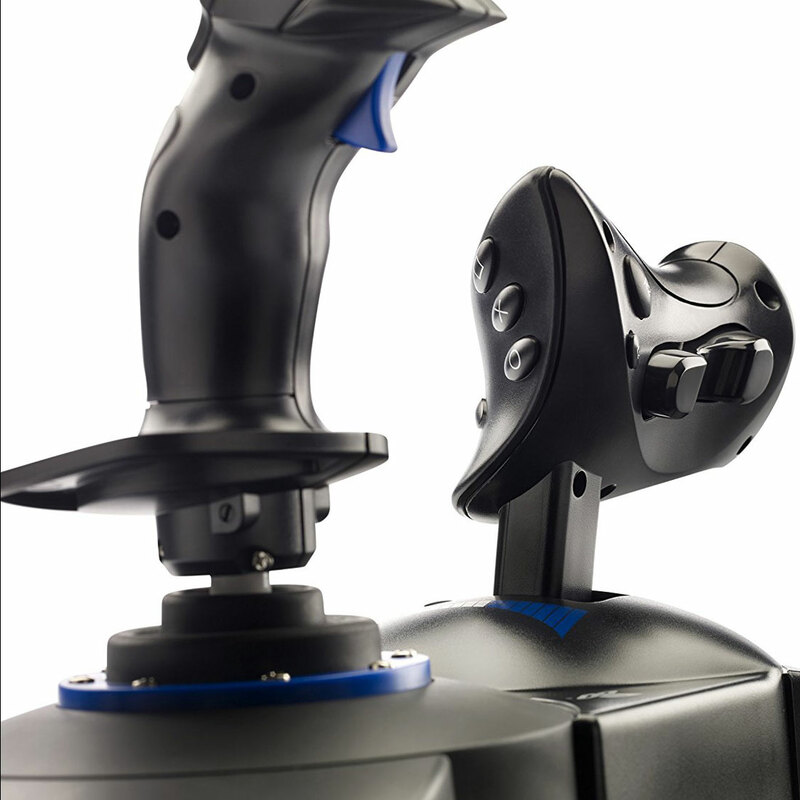 The joystick features a full-size throttle which you can use to easily control the acceleration of your aircraft. 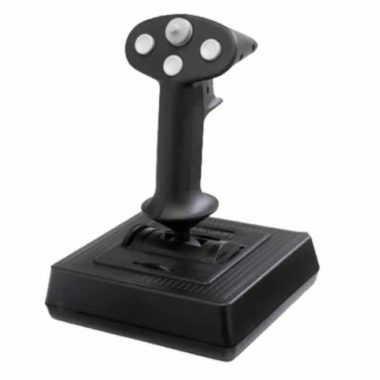 The joystick features a rudder function, which in a plane corresponds to the pedals used by the pilot to turn the steering, allowing the plane to pivot around its vertical axis (therefore making the plane turn left or right). 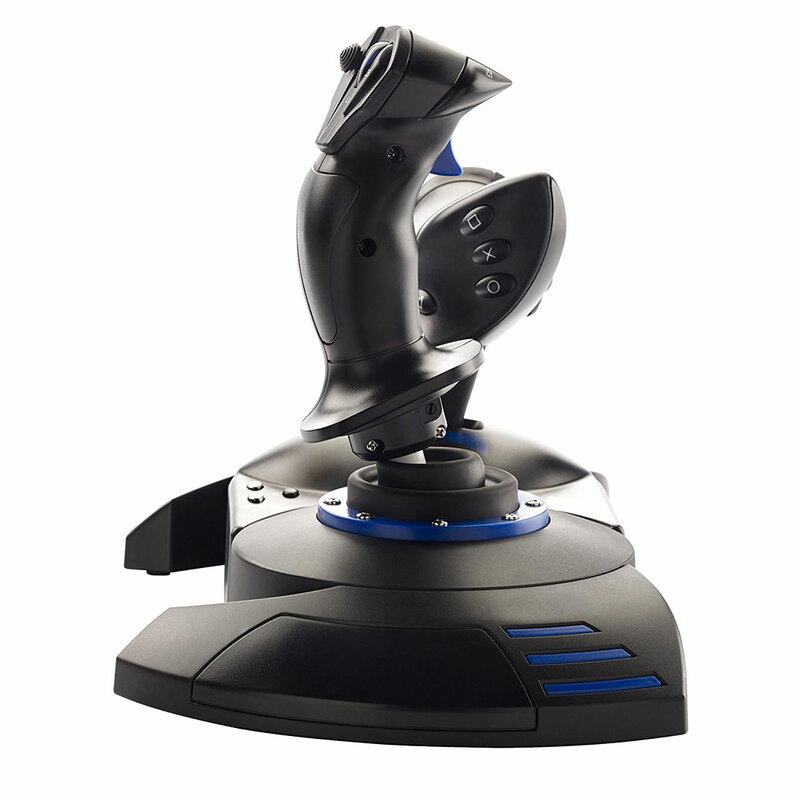 This rudder function is accessible on your joystick by rotating the handle (with integrated locking system) or by progressive tilting lever. 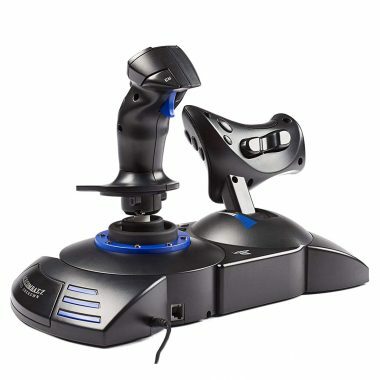 Box contents: joystick, throttle, Allen key, user manual including consumer warranty information.